Serving Southeastern Pennsylvania, FACTS Fitness specializes in Turn-key Corporate Fitness Management, Multi Tentant Fitness Center Management and Medical Fitness Center Management and Commercial Fitness Management. Providing top rate operations, wellness personnel and programming as well fitness center design and equipment procurement services. Our company is dedicated to achieving its mission of creating lifelong awareness about the positive influence of fitness on an individual’s wellness, risk reduction and life extension, while offering a team of skilled professionals to provide exceptional operating services to our clients. Our company was founded in 1996 by Tom Fenstermacher, Owner and President, FACTS Fitness offers a creative, hands-on approach which is the philosophy that has contributed to the incredible success of the company which now services over 10,000 members through its fitness management services. Tom Fenstermacher earned his Bachelor of Science degree in Exercise Physiology and Nutrition from West Chester University. He immediately began his career in fitness as a personal trainer, and soon started an in-home personal training company. With Tom’s enthusiasm for the fitness industry and dedication to his clients, his company soon expanded into the local hospitality market. Tom has since led FACTS Fitness to a premier status as one of the top fitness companies in the Philadelphia region. Tom has become a much sought after expert in the field of fitness center design and management. His expertise to create innovative and cutting edge programs and facilities has become much sought after in the fitness field. Recently, FACTS Fitness has expanded the corporate wellness division of the company and is offering comprehensive services to the regional and national market. Tom’s common sense approach to fitness and his philosophy of “no member left behind” is evident throughout his organization. He applies innovation and creativity in all phases of his business and has set a goal for FACTS Fitness to continually offer something new and be the best at it! Kathi has an Associate Degree in Applied Science, majoring in Accounting from DCCC. 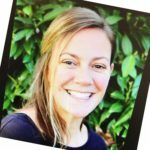 She has worked in the Accounting field for 15 years, working in Accounts Receivable and Payables, and eventually managing an Accounting Department. Kathi also spent some time working in the Human Resources field, obtaining a PHR certificate through SHRM. But her LOVE for accounting and working with numbers has brought her to FACTS Fitness where she has worked as the company’s Billing Manager since January 2007. Larry Kolasensky manages Steel Fitness Riverport in Bethlehem, Pa. 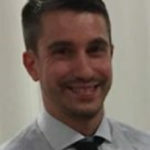 He is a Certified Nutrition Consultant through the Huntington College of Health Sciences, has his Personal Training Certificate from AFPA,, and has over 8 years of experience in the Nutrition/Fitness industry. He previously managed a nutritional health store for 6+ years. This experience has helped him to integrate a culture within Steel Fitness that revolves around the clients experience. Off the clock Larry enjoys watching sports, running, and spending time with his family. Fun fact about Larry: He Completed the Via marathon (26.2 miles) in the Lehigh Valley in September of 2017. 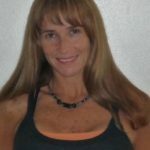 Kristine is a Certified Fitness Professional with over 15 years’ experience in Personal Fitness Training, Group Exercise Training, Fitness Presentation, Education, and Management. 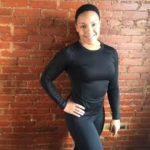 She is currently the Club Director at the West Conshohocken Athletic Club as well as a Personal Trainer and Group Exercise Instructor. Kristine is an avid hiker and has created a hiking/workout in which she conducts for up to six people on the weekends. Erinn graduated from Moravian College in 2010 with a Bachelor of Arts in Accounting and a minor in Business Management. She spent a couple years in public accounting working as an auditor before moving into the private sector to manage the finances and operations of a not-for-profit corporation. 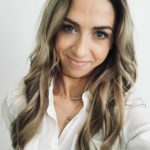 Erinn is currently serving as the Manager of Member Experience at Steel Fitness Premier, managing Member Service operations in-club with a focus on member engagement and retention. Her position utilizes excellent customer service paired with engagement strategies to get members involved as part of the club community and on track toward in pursuing their fitness goals. In her free time, Erinn works part-time as a freelance bookkeeper. For fun, she loves working hard to advance her yoga practice and enjoys spending time with her friends. 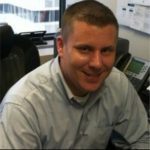 Mike is a graduate of East Stroudsburg State College with a Bachelor of Science degree in Health and Physical Education. Mike joined the Clubs staff in 2007 while designing the Aquatic Center at the facility. He recently retired from Emmaus High School after 34 years of teaching. As Head Swim Coach at Emmaus High School his teams posted a 485-50-2 record, 24 District Team Titles 33 League Championships, 1 Team State Championship, 25 Individual State Champions and 79 All Americans. Mike has over 30 years of management experience in aquatic facilities. He is the founder of Emmaus Aquatic Club. 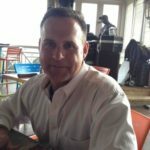 Mike is an inductee in Pennsylvania Swimming Hall of Fame, is an American Swim Coaches Association Level V Certified Coach, chaired numerous Committees for United States Swimming as well as a long time board member of Middle Atlantic Swimming. He is a Polar certified Heart Monitor Specialist, a certified pool operator and a Red Cross Instructor for: Lifeguard Training, AED, CPR and First Aid. Mike’s hobbies include traveling with his wife Susan, enjoying his 4 children and grandson as well as riding his Harley motorcycles. He still swims 4 miles a week for exercise and has built a lifelong career around health, wellness and fitness. 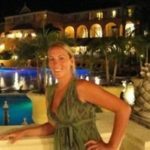 Amy is an operations and billing specialist with over 11 years of experience in fitness club management. After graduating from Fairleigh Dickinson University in 2000 with a BS in Marketing, Amy spent 7 years in NYC working in magazine publishing. Amy is currently serving as the Operations Manager for Steel Fitness Premier & Riverport, overseeing club operations, EFT/POS billing, member conflict/resolution management, club culture and optimization the member experience. Off the clock, Amy enjoys spending time with family, doing DYI projects and going to sporting events.